What are they? Panels that only cover part of the window. 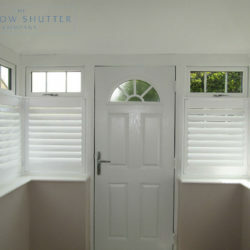 Pros Cheaper than full height shutters and let in more light. Cons Less practical & more a decorative feature. No draught or sound proofing. Best for When you just need some privacy - popular in urban areas where you may have a window on a busy street. Café shutters can be seen extensively in Victorian, Georgian and Edwardian terrace properties with original box sash windows. Typically, these houses have little or no front garden and high levels of traffic past the front window. 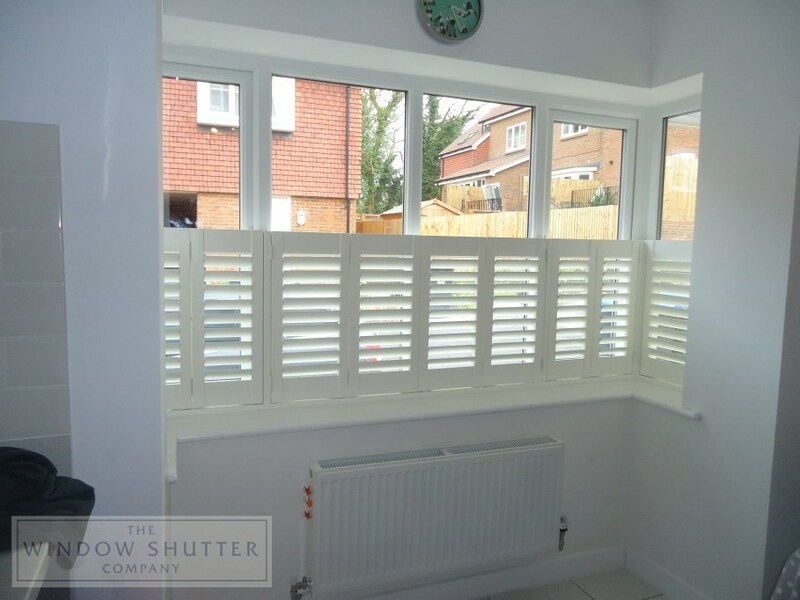 Café shutters afford the home owner a very stylish alternative to nets, affording terrific privacy without compromising the light in the room. Whilst these older properties have used this style a lot in the past, café shutters would look just at home in a more modern building with new UPVC double glazing, should the option be required. 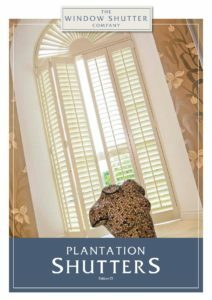 Available in all product ranges, louver sizes and colours, café shutters will complement your décor as beautifully as any of our other plantation shutters. Some clients prefer this style as they would like to keep their blinds or curtains and are just looking for an alternative to their nets. 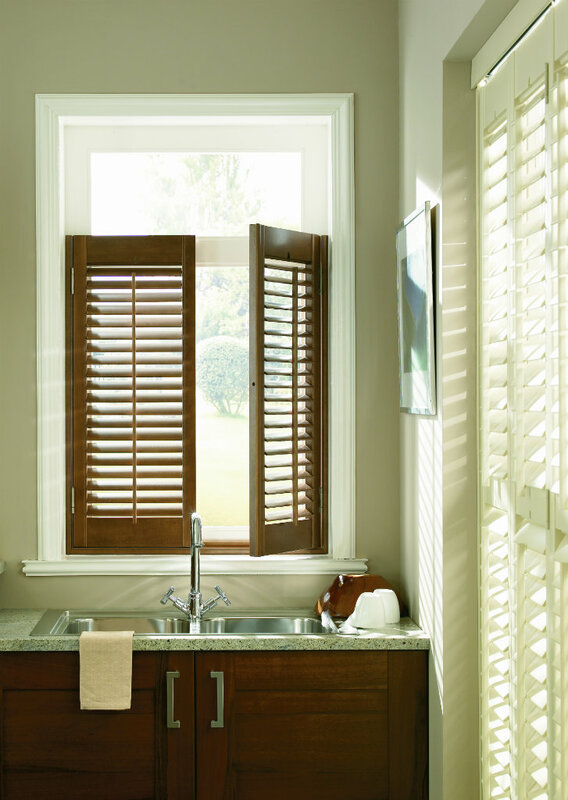 However, bear in mind should you be looking to replace all your textile window treatments with shutters (or if you are thinking of café style in a bedroom).....remember there will be nothing covering the top section of the window and therefore at night/early morning there will be light in the room. If you are going to want to darken the room at night, you should probably consider additional window treatments or go for Full Height or Tier on Tier designs. Converting café to tier on tier at a later stage is difficult and in some cases not possible. Please also read our blog where we have discussed recent café style shutter installations. Find out more about our Styles and Shapes on these pages.